Nigerian military caused the kidnap of 110 girls in Dapchi, says Yobe state governor, Ibrahim Gaidam – Royal Times of Nigeria. 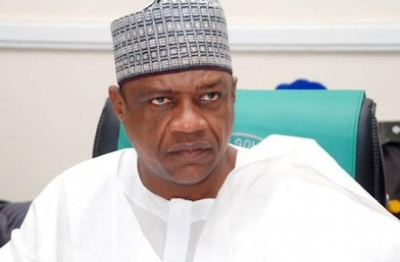 Yobe state governor, Ibrahim Gaidam, has blamed the Nigeria military for the recent attack on Dapchi town that resulted in the abduction of 110 girls. Gaidam said this while receiving Borno state governor, Kashim Sheittima, who paid him a sympathy visit over the weekend. Governor Gaidam said the attack came barely a week after the military withdrew troops from the town and that if the soldiers had been on ground, the attack and subsequent abduction of schoolgirls would not have been possible. He said a similar incident played out in 2014 when the sect members attacked the Buni Yadi school for boys, killing 29 of them. He said, “I blame the whole attack on Dapchi on the military and the defence headquarters who withdrew troops from Dapchi. The attack occurred barely a week after the military withdrew the soldiers from there. Before then, Dapchi has been peaceful, there was never such incident. But just a week after they withdrew the troops, Boko Haram came to attack the town.